When clients have enjoyed our comedy waiter routine, and call again to ask "What else do you do?" we tell them that a Spanner Band is another perfect cover for us to slip unnoticed into their proceedings. For a long long long long time now, the music at corporate functions has been taken far too seriously. We hope that the following selection of live musical entertainment wets your appetite and we can guarantee that your event will be sprinkled with another light shower of magical Spanner dust. They look just like any other group of corporate musicians, ill fitting shirts off the market, the "I've just been sat in a van for three hours" look about them, and then there is the music. 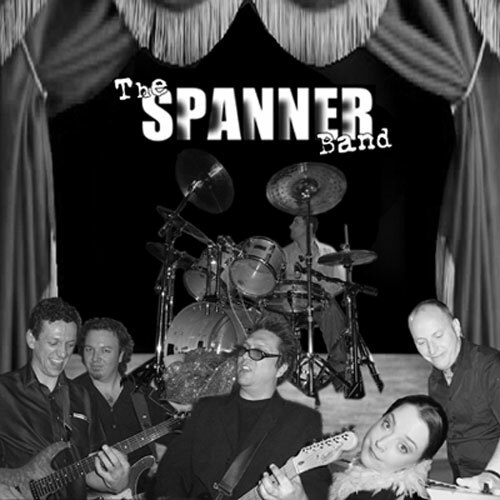 Imagine cheesing-up Radiohead's 'Creep', 'Wonderful Tonight' by the very funny Eric Clapton, the "Home & Away" theme, 'Pretty Vacant' and 'Spanish Eyes' plus lots more ..... all performed in true Spanner style. 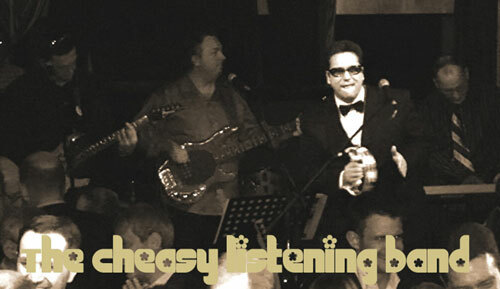 Guaranteed fun with plenty of guest participation, Cheasy Listening is a hilarious cabaret for during or after dinner. 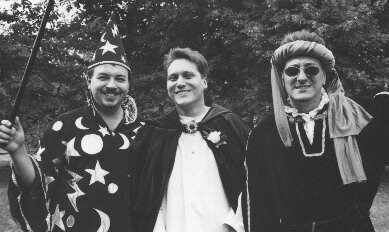 A trio of guys delivering great medieval power pop. A poor attempt at the Bee Gees, nice hair, cheesy smiles and easy pagan chit chat between songs. Peasants will enjoy dancing to the beat of these sad individuals who will churn through a punchy set of self quilled romantic tunes, only pausing to explain the strange deep meaning behind each song. Typical set includes:- "Megan, Armour Coming Home", "Josephine's Jig", "Fill Me Goblet", "Two Pigs & A Chicken", "Elizabeth, You Are The First" and many many more. How many musicians are there in a Quifftet ?? Well book them and you will quickly find out. However we will require a large changing room and food for 50. The only band on earth that has out numbered its audience. Hey far out, these cats got trapped smack bang in the sixties, great outfits and stage set, complete with pretend drugs (optional). Songs include:- "Flowers In My Shoe", "Let's Catch The Wind", "Mamma, Pappa, In The Sky", "Moon With A Velvet Hat", "Peace For The Human Race" and there only ever chart hit, "Higher Than The Fluffy Clouds".